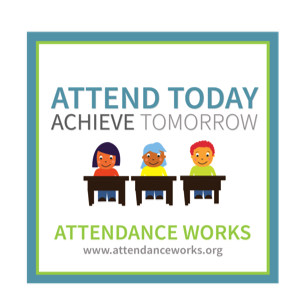 September is the second annual Attendance Awareness Month, a nationwide event to spotlight the strong connection between school attendance and academic achievement. With all the media attention on school reform and exciting (and often controversial) new strategies to boost academic success, improving student attendance is perhaps too simple an idea to garner much attention. But that needs to change. First, there’s a big problem: 10 – 15 percent of students, as many as 7.5 million nationwide, are chronically absent, meaning they miss 10 percent or more of school days. This adds up to almost a month of missed instruction per year. Chronic absenteeism has serious ramifications and is an early warning indicator of academic trouble. Early childhood education research shows that absenteeism affects kindergarten readiness; preschool students with attendance issues have weaker literacy and numeracy skills entering kindergarten. By 3rd grade, these children often struggle to read proficiently. By 6th grade, chronic absence is a leading indicator that a student will drop out of high school. Second, it’s relatively easy to move the needle on the attendance problem—simply by making schools, students, and their families aware of just how important it is to go to school every day and understand how even small numbers of absences can contribute to a child’s academic problems. Just a couple of days a month out of school can add up to nearly 10 percent of the school year. My company, Age of Learning, supports the goals of Attendance Works, the Campaign for Grade-Level Reading, and other organizations working to address the chronic absence problem in schools, and we’ve be spreading this important message out on our Age of Learning Twitter, Facebook, Google+, Tumblr, and other social media accounts. This entry was posted in Early Childhood Education and tagged ABCmouse.com, Age of Learning, attendance, Doug Dohring, early childhood education, education. Bookmark the permalink.